eZono, a developer of tablet ultrasound systems, has obtained the US Food and Drug Administration’s (FDA) 510(k) approval for its eZono 4000 dedicated procedural guidance system with eZGuide technology. eZGuide is a needle guidance providing needle tip location with the precision and ease of use for clinicians. eZono CEO Graham Cox noted the eZono 4000 with eZGuide, is exceeding the company’s expectations in performance and has been welcomed as game changing technology by many physicians. "eZono is passionate about bringing practical and affordable solutions to clinicians in their everyday practice and we are delighted to bring this technology to the United States for needle guidance applications. "As healthcare costs rise, it becomes imperative for companies to provide quality solutions at affordable prices. eZono addresses the needs of improving patient safety with increased efficiency by making essential equipment more easily accessible with minimal ongoing costs per procedure," Cox added. eZono claims that the eZono 4000 offers excellent image quality. St. Luke’s-Roosevelt Hospital Center, New York, Regional Anesthesia director Dr Jeff Gadsden noted the eZono 4000 has revolutionized the way in which ultrasound guided procedures are performed in two ways. "Firstly, knowing where your needle tip is at all times represents a substantial safety advantage, both for in-plane and out-of-plane procedures. The needle localization technology eliminates the guesswork out of ultrasound guided techniques and reassures you that the procedure is not going to end in misadventure. 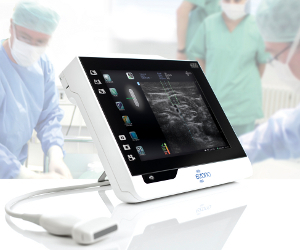 "Secondly, we have found the learning curve is accelerated with the eZono 4000 — trainees understand ultrasound guided block techniques more quickly when they are trained on the 4000 and are able to demonstrate better hand-eye coordination skills after several sessions with the machine compared to traditional teaching techniques," Dr Gadsden added.